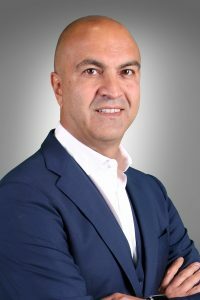 Hakan Bicil has taken up his new post as Chief Executive of Imperial Logistics International, the international division of Johannesburg-based Imperial Logistics. Reporting to Imperial Logistics Group Chief Executive Marius Swanepoel, Bicil is charged with accelerating the development of the Group’s international business – which currently accounts for some 40% of Imperial Logistics’ total revenue, with a turnover of €1.6 billion. Bicil joins ILI from CEVA Logistics, where he was Chief Commercial Officer responsible for global sales. Previously, he was European MD for Toll Global Forwarding and, prior to that, held various senior level posts at Kuehne & Nagel. Says Bicil: “I am thrilled to be taking over the reins at Imperial Logistics International at the most exciting time in its young history. We have a diversified portfolio of businesses with impressive collective capabilities, a blue-chip customer list, and a team of highly-experienced experts. These are excellent building blocks on which to base our “One Imperial Logistics” concept, which will see the creation of a single company and a single global brand.